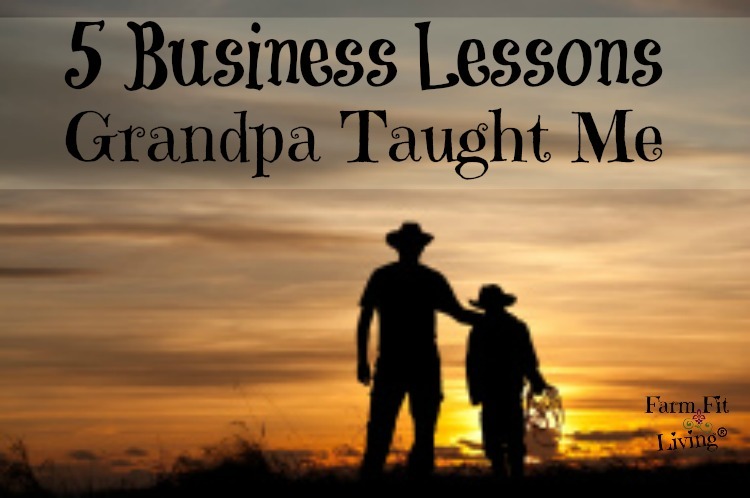 Today, I’m thinking about all the business lessons Grandpa taught me. 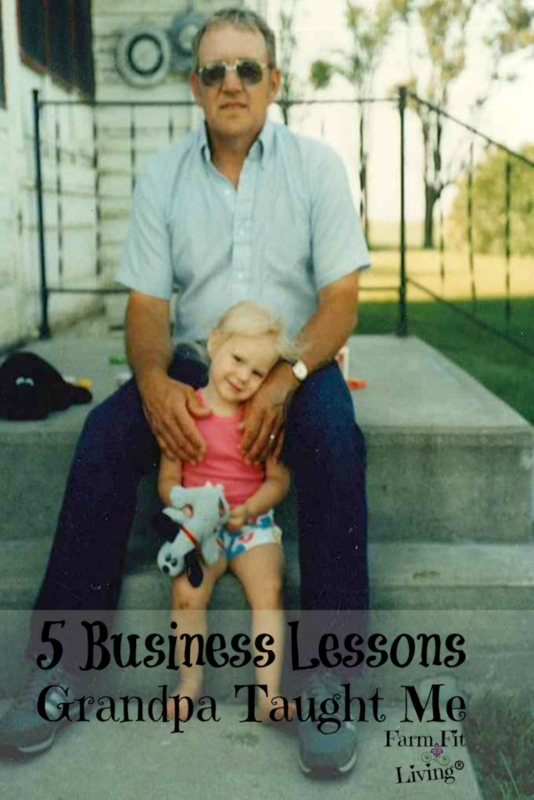 Business lessons Grandpa taught me have really come in handy since I became a work from home woman. My Grandpa had the entrepreneurial bug. In 1963 in rural America, my grandparents were newlyweds and looking to build a life. Grandpa started his plumbing, heating, and air conditioning company in a community of a just a few hundred people. In the past 50 plus years, the family business has grown thanks to Grandpa’s amazing knack for understanding a rural community need. His company has been the go-to business to call when people are in need. Now, 50 years later, Tebow Plumbing Company is still in high demand in a small community that highly values it’s residents. Small businesses with that kind of growth and sustainability inspires me. I inherited this entrepreneurial bug from my Grandpa. As I dive into my own businesses to support my own family, I often think of five major game-changing business lessons Grandpa taught me. Find the gap and go with it. Grandpa saw a need in the small rural community for a business with plumbing, heating and air conditioning services. Starting a new business doesn’t come easy at any level or with any resources. Like any business owner, Grandpa had to acquire proper training, skills and licensing needed to be the expert in his business niche. He did and this made his business shine above all the others. One other quality my Grandpa had was that he had a big heart. He cared about the community and the people in it. These people became his customers and their needs were met. Grandpa saw what the customers needed and filled those needs within his business plan. This philosophy was the number one way his business grew. And how it is still growing strong today. Your business’s biggest fans are the customers. Without customers, your business will not generate any sales. Without sales, your business will fail. Successful businesses are those that solve people’s problems. It starts with finding that need (see above!) and the customers will come rolling in. But in order for those customers to keep coming back, you must care about them. You must make them feel like they are needed. You have to make them feel like without them, your business is nothing. This is one of the most important business lessons Grandpa taught me. Center the business goals around the loyal customers. Grandpa always had it in his mind that his customers were number one. Because he took care of his customers, they referred him to others. The business grew because new customers came flowing in looking for someone who could help them. Grandpa took pride in putting the customer first. He trained his employees to also care about the customers. That rule is still in place today. You don’t have time to train new employees. Your employees represent you and your business. Your employees spend just as much time with you as they do with their own families. So, treat your employees like family. Today, my family’s business still employs two great men who began working there with I was a baby. That’s 30 plus years of experience with the same business. But not only that, these two men have become family. I’ve always known them to be there. It’s a comfort for me to walk in and see them there working away. Just like coming home. When employees are treated right and fair, they will stick around long into the future. They understand the business and the trade. They will grow in knowledge and skill. This will help your business become well-known as having trustworthy employees that can get the job done and meet the need. Businesses will low turnover rate of employment also have low turnover rate of customer appreciation. The two go hand-in-hand. When your customers know and trust your business employees, they will trust your business and keep coming back to your comfortable space. Good employees will not only feel comfortable in your business, but will learn to advertise for you as well. You might have a great customer base. But, at any stage of your business’s life, you must still advertise what you can offer your customer. Advertise. Advertise. Advertise. Another one of the important business lessons Grandpa taught me. Grandpa knew this was important. But he didn’t necessarily have time for it. So, he outsourced radio advertising to my little brother and me. That’s right. When we were little, my brother and I advertised on the radio for our family business. Our little voices caught the attention of everyone who listened to the local radio station. That was our contribution to the family business. When little voices emerge through the airwaves of radio stations, people stop to listen wholeheartedly. Other ways of advertising: Decals on the service vehicles, signs and billboards, newspaper ads, and word of mouth thanks to referrals. Advertising is extremely important to a small business no matter what stage of life the business is in. The more you talk about your business, the more others will believe in it as well. My early contribution to the family business was the entrepreneurial bug that bit me at an early age and made me think about my future endeavors. But, I never wanted to come back to the family business of plumbing, heating, and air conditioning. I had the entrepreneurial bug bite. But, I’ve always dreamed of having my own business. As I grow my businesses, I sure wish my Grandpa was still on this Earth to guide me through the process. Sadly, my Grandpa passed away from cancer in 2002. But, his legacy lives on in his business. My parents now own and run the business along with their long-time employees. They are using the business lessons Grandpa taught them to maximize goals. Business is great in a small town thanks to business lessons Grandpa taught all of us. The family business is stronger than ever thanks to his planning strategy of financial and insurance protection. When he was sick, Grandpa worked with attorneys, bankers, and accountants to make sure his business stayed strong after his life. He transitioned my dad into learning the business so dad would be ready to manage everything on his own. If you want your business to live on, you’d better plan for the future. It’s best to find expert professionals you can trust to work with you on planning for the future of your business. Grandpa might be gone now, but his entrepreneurial spirit lives strong in me. As I grow my businesses day to day, I can feel his presence sometimes as if he is really here with me. I look forward to continue to serve others long into the future using the business lessons Grandpa taught me.